While I love toys of pretty much all colours, shapes and volumes, it’s not often that I feel the urge to call one beautiful. Fair warning: I currently have that urge. 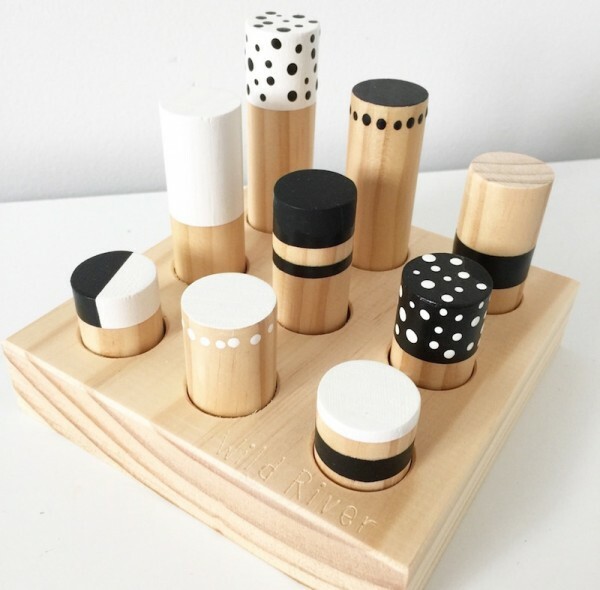 These peg boards by Wild River are great in that they can be both toy and nursery decoration because, let’s face it, they’re beautiful. 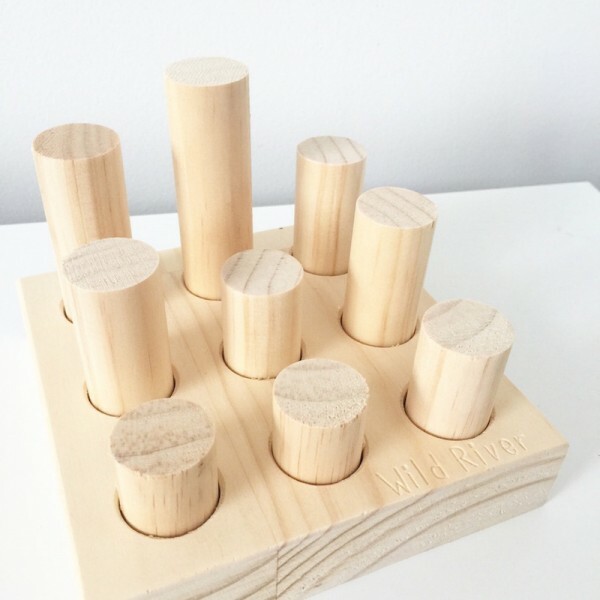 With various peg sizes hand cut and sanded from pine, the sets are designed to promote hand-eye coordination, and they do a pretty darn good job of looking nice while they do it. Sets are available in natural timber ($45), or there’s also the option of coloured sets ($62) and patterned sets ($58). Personally, I’m a big fan of the coloured sets – as well as promoting hand-eye coordination, they’re a great way for your little one to learn about colours and matching. Plus, if your child likes to hide toys around the room like mine does, it’s helpful to know which colour you’re looking for when putting the set back together. 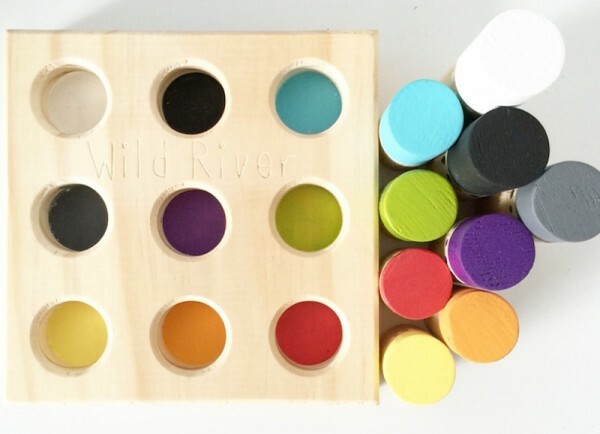 The peg boards are made to order through Wild River.